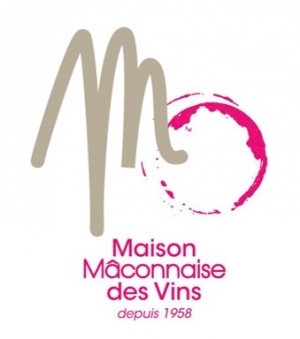 The "Maison Mâconnaise des Vins" was founded in 1958 by winegrowers in love their region and the effort required to produce the best quality wine from their land. 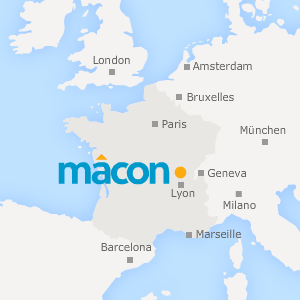 It quickly became the go-to place in Mâcon. 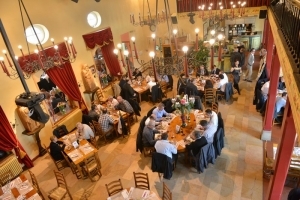 A traditional restaurant with fast service, a simple menu of tasty food, a shaded terrace. Open 7 days a week from 11:45am to 10:00pm. Discover 23 varieties of wine within 3 wine-producing regions (Côte Chalonnaise, Mâconnaise and Beaujolais). You will taste a wide selection of wines and discover numerous local products as well as wine accessories. Open 7 days a week from 9:00am ton 7:00pm.